This paper discusses the potential of technology-mediated forms of L2 strategy instruction (SI) to not only facilitate SI but to enhance evaluation of SI interventions and L2 strategy research more generally. 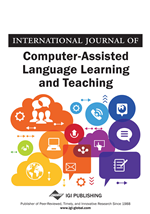 It uses results from a recent empirical study to show how computer-based forms of SI may offer remedies for problematic features of evaluation, including access to process data showing how learners actually perform strategy-related tasks, the timing and frequency of collection of learner perception data, and most importantly, data about task perception and metacognitive monitoring, which can position L2 strategies within frameworks for self-regulated learning. The underlying premise of this article is the need to revitalize the field of L2 learner strategies with new methods for evaluation and research that can better capture the complex nature of L2 strategy use. This article discusses the potential benefits of conducting and evaluating L2 strategy instruction, and of researching L2 strategy use more generally, via the computer. The underlying premise is the deflated state of L2 strategy research at present. After a promising start in the 1980s, the field flourished in the 1990s, producing a large body of research, including descriptive, taxonomic, and experimental studies. In recent years, however, disputes have arisen over difficulties in defining the construct of a strategy and the methods with which it can meaningfully be operationalized and studied (Dörnyei, 2005; Macaro, 2006). The particular challenges of strategy instruction (SI), representing the practical application of descriptive L2 strategy research in order to enhance learning, were illustrated in a recent meta-analysis of L2 SI studies (Plonsky, 2011), which found a small to medium overall effect size for SI, with effectiveness moderated by a number of contextual, treatment, and outcome variables. This review of SI research provided further support for the view that “there is still much work to be done on strategy instruction in order to prove to learners, teachers, and the wider SLA research community that such an undertaking in the classroom is worthwhile” (Cohen & Macaro, 2007, p. 284). It also reiterated problems with the quality of L2 strategy research noted previously by other scholars (Chamot, 2005; Hassan et al., 2005). …many both inside and outside the learner strategy tradition feel we have reached a crossroads. Since we have already established that frequent use of a large repertoire of strategies is positively related to learning results, we need more research investigating the real picture, which is more complex ... We also need more rigorous research designs and practices, and more tangible and useful applications for teachers and learners (Gu, 2007, p. vi). In this paper, I will discuss the role of computer technology in contributing to these efforts. Specifically, I attempt to extrapolate from the results of a recent evaluation of a particular project (Ranalli, 2013b) to wider implications about the potential for technology-mediated SI to contribute to this revitalization, by showing how computer-based interventions can facilitate both scaffolding of, and research into, the development of L2 learners’ strategic abilities. The L2 literature contains few examples of computers used to deliver SI, and those studies that exist are of an exploratory nature insofar as they lack controls (Bull & Ma, 2001; Chang, 2005; O'Bryan & Hegelheimer, 2007), combine computer-based SI with face-to-face training (Dreyer & Nel, 2003; Tsai & Talley, 2013), or evaluate SI in terms of learner and teacher perceptions rather than learning outcomes (Huang, 2013). More common in the literature are descriptive studies exploring learners’ use of strategies in technology-mediated environments (e.g., Chapelle & Mizuno, 1989; Huang, Chern, & Lin, 2009; Jamieson & Chapelle, 1987; Li, 2009; Pujolá, 2002; Ulitsky, 2000). This lack may be attributed to the fact that many strategies address aspects of language learning in which technology may play no role, or that would be difficult to address in computer-based instruction because of their open-ended nature (e.g., guessing meaning from context). Some strategies, however – particularly those involving the acquisition of specific skills, which will require sufficient amounts of practice accompanied by immediate, individualized feedback (DeKeyser, 2007) – may be ideally suited to the medium.